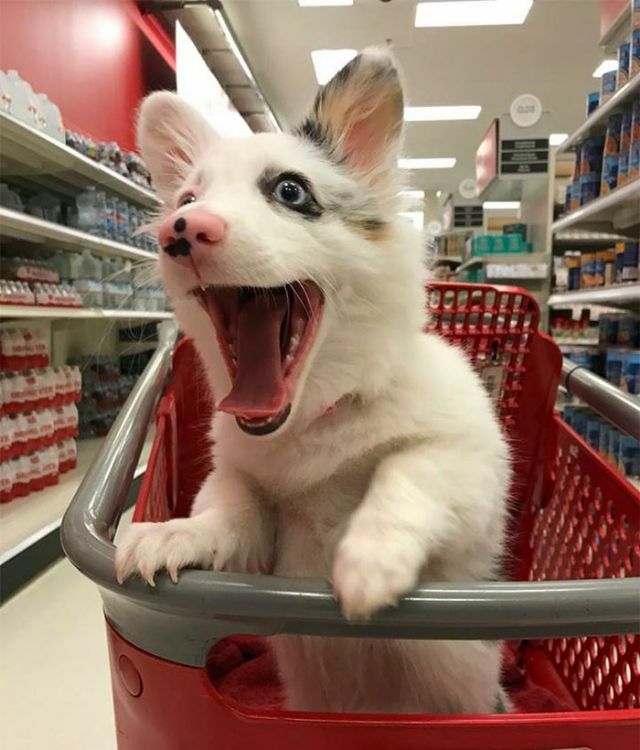 A shopping trip isn't always the most exciting thing in the world, but try to tell that to Zira the dog. 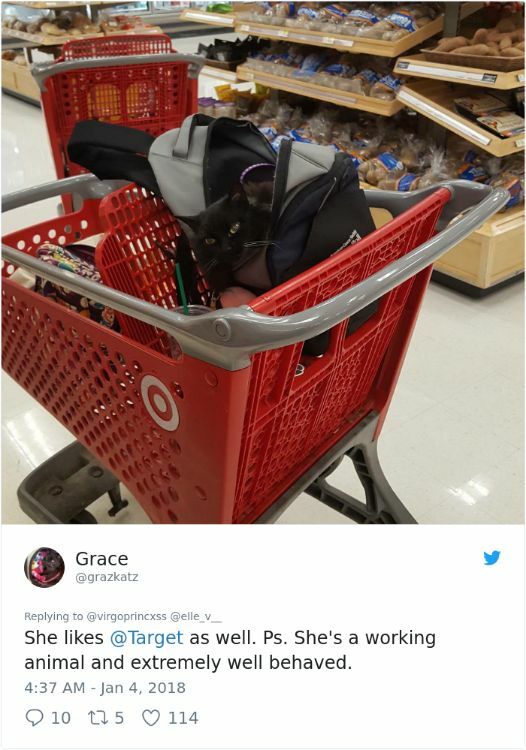 Zira, who was born in September 2017, is enthusiastic about all things in life but found a recent trip to Target particularly exciting. Zira is a Pembroke Welsh Corgi and Miniature Australian Shepherd mix who lives in California. She's full of energy and a website for her features many photos of this dog absolutely loving life. 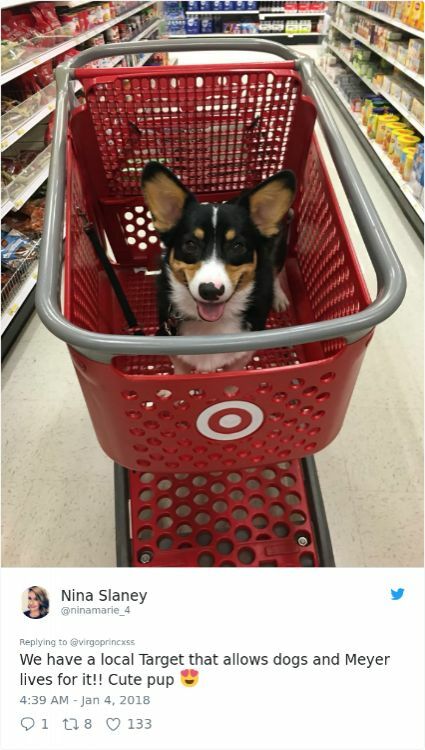 When Jesse, Zira's owner, took her to Target for the first time, she slept through the trip. 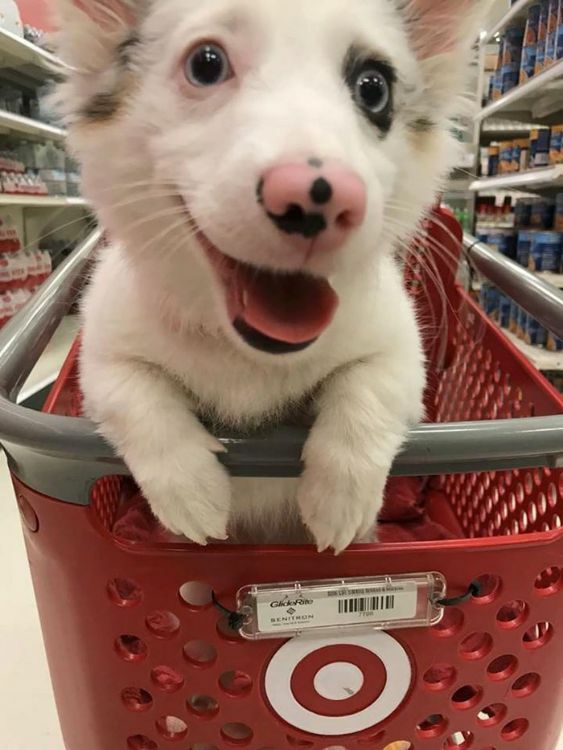 But things changed during the pair's second trip to Target, and then-4-month-old Zira clearly couldn't get enough of the store. Zira was so excited during her trip that she leaned against the front of the cart the whole time. 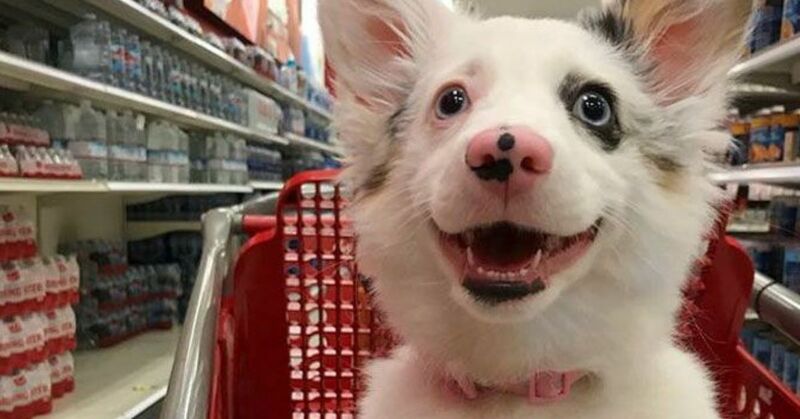 She may have been looking for new toys, which she loves to chew. 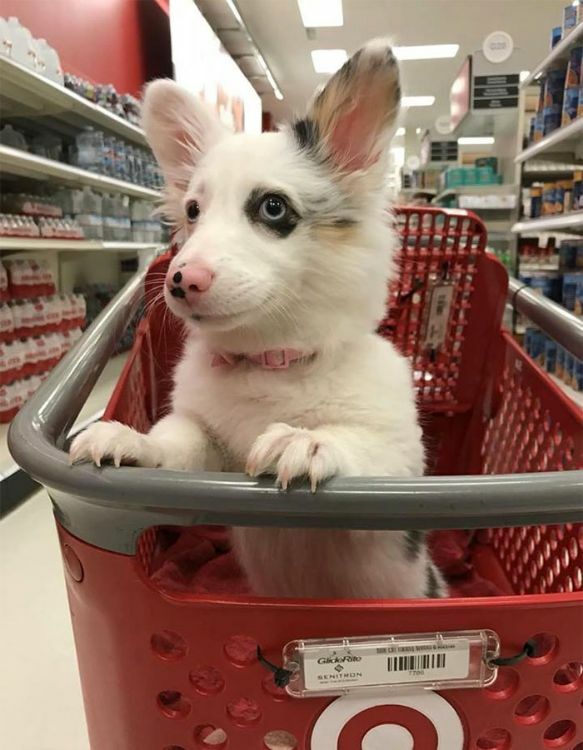 At one point during the trip, Zira encountered a woman shopping who couldn't get over how cute the puppy was. Zira licked the woman enthusiastically in thanks, and the woman even picked her up and let the puppy lick her face. 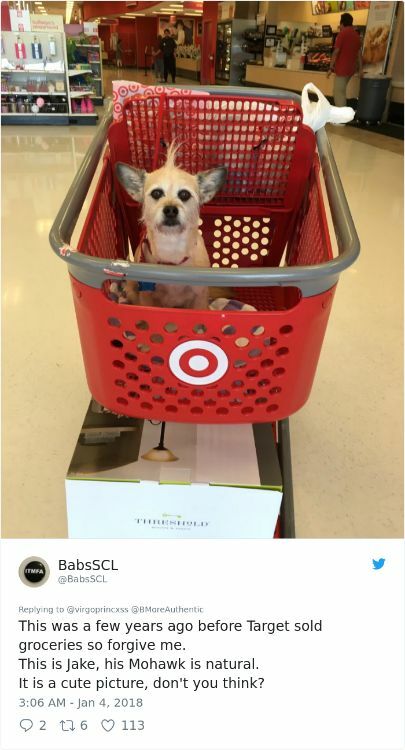 After leaving the store, Jesse learned that the store only allows service animals inside. However, there are some stores – particularly pet stores – that do allow dogs and other pets. 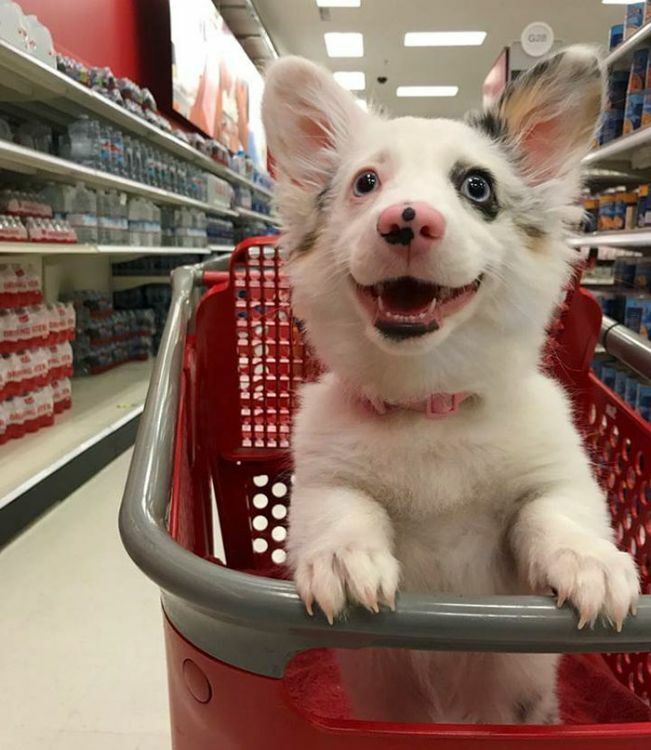 Before you take your pet on a shopping spree, be sure to ask about the store's policy regarding pets.